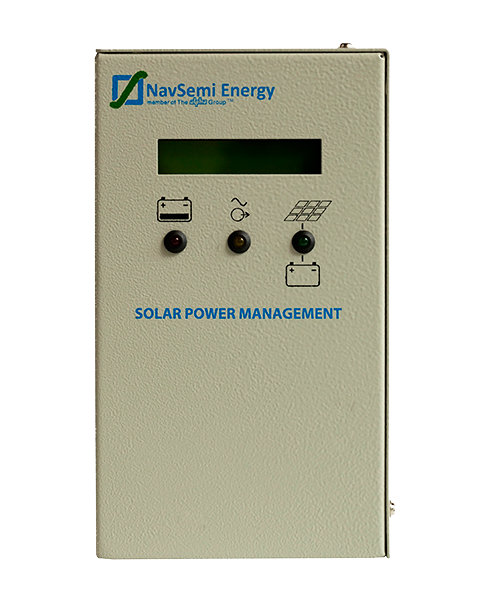 Alpha India's SPM (Solar Priority Manager) controls two input sources to the AC/DC SMPS charger and also provides control output for triggering external sources like diesel generator. Similar to conventional system the unit provides system status on front panel LCD display and critical indications via panel mount LED’s. The SPM shall communicate with SunRose devices and shall provide individual device performance on the LCD screen.